It's a bit more difficult to be picked. In 2013, more than 6,000 people applied to the program. Only eight were selected. That's an acceptance rate of less than 1 percent. The job description says, frequent travel may be required. NASA is accepting applications for a new class of astronauts. You log into the usajobs.gov. 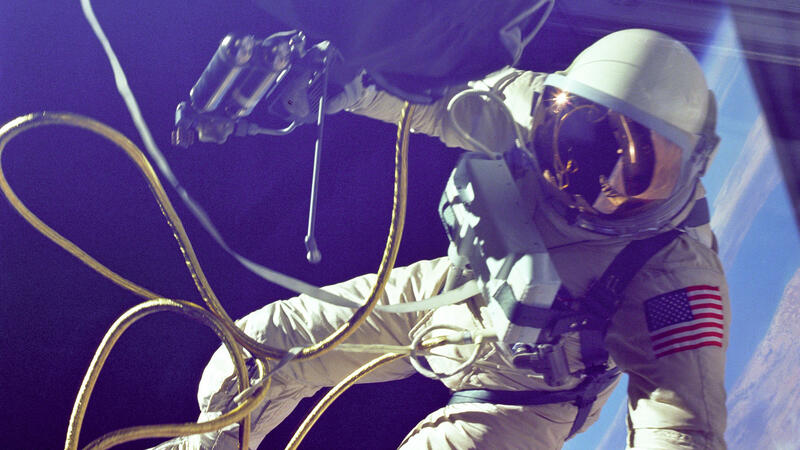 Search for astronaut, and upload your resume and references - easy - OK, not so easy. The last time NASA did this, the acceptance rate was less than 1 percent. So who has the right stuff? NPR's Adam Cole spoke to two former astronauts and one astronaut hopeful about the path to space. 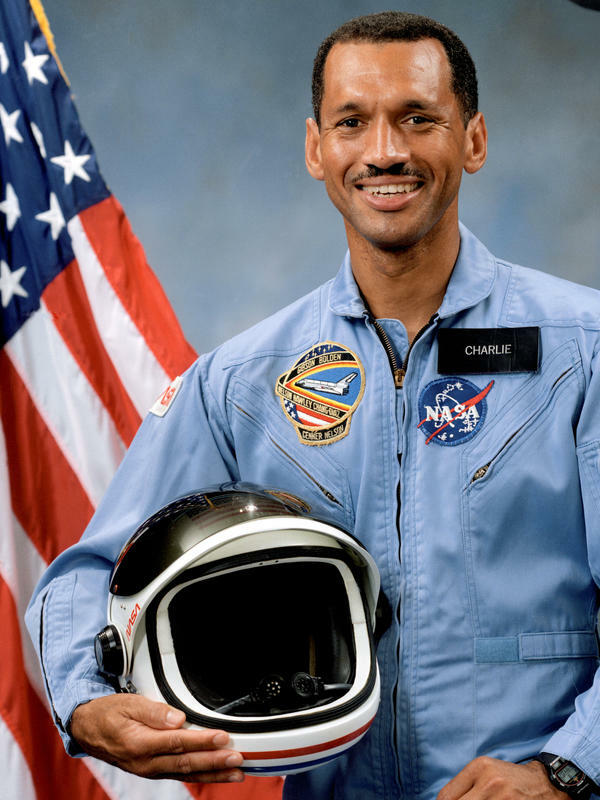 ADAM COLE, BYLINE: For Charlie Bolden, it started in seventh grade. He'd hurry home after school to catch his favorite show. CHARLIE BOLDEN: "Men Of Annapolis" - it was a regular program on television. UNIDENTIFIED MAN: Yes, this is Annapolis, the United States Naval Academy. BOLDEN: That's where I wanted to go to college. COLE: But Bolden was a black teenager from the segregated South, and his congressman wouldn't give him the required nomination. An Illinois congressman opened the way to the academy instead, and Bolden began his military career. He flew in Vietnam, became a test pilot, was selected to become an astronaut in 1980, the beginning of the space shuttle era. For Mike Massimino, it started with a different broadcast. MIKE MASSIMINO: I was six years old when Neil Armstrong walked on the moon and wanted to be an astronaut, dressed up like an astronaut for Halloween, played astronaut in my back yard with my little astronaut Snoopy. COLE: But growing up in Franklin Square, Long Island, that dream started to seem ridiculous. 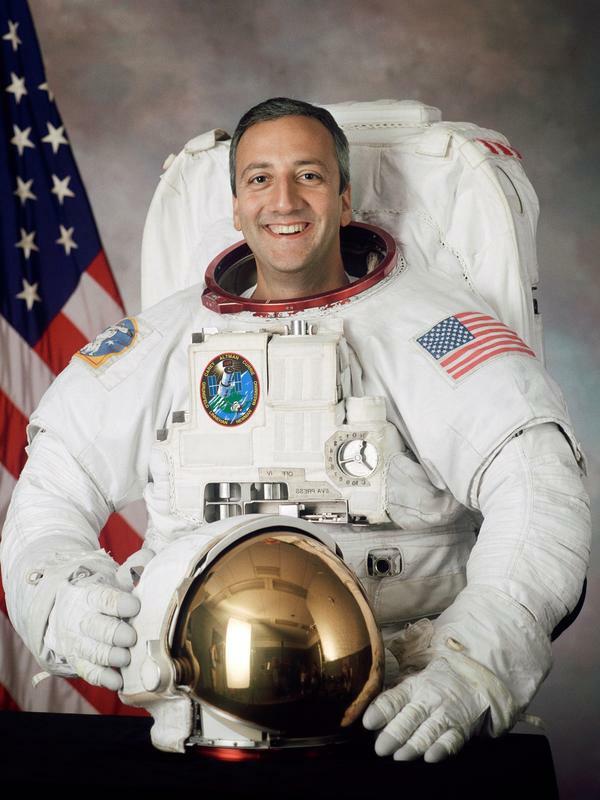 MASSIMINO: I didn't know anybody that was an astronaut. COLE: So Massimino went to Columbia to become an engineer. There were lots of engineers in Long Island, but 16 years later, in 1996, he was accepted to the Astronaut Corps. Maria Banks is applying this year. In college, she studied harp performance. And when she graduated, she found a job playing on a cruise ship that traveled all over the world. MARIA BANKS: I would take soil samples and rock samples and hide them in my suitcase and (laughter) every day I would try to find the most geologically interesting thing I could do - climb a volcano or hike a desert, hike on glaciers. COLE: That sent her back to school, where she studied the fingerprints of glaciers on Mars. Different backgrounds, different eras - but these three people - a pilot, an engineer and a planetary geologist - all felt the same way about applying. BOLDEN: I was convinced that I did not stand any chance. MASSIMINO: I thought there was no way they were going to pick me. BANKS: I guess I didn't believe it was maybe an attainable goal. BOLDEN: If you're not tops at what you're doing now, you're not going to be selected. COLE: Charles Bolden was tops. He went on to pilot two shuttle missions and commanded two more. He helped put the Hubble Telescope into orbit. Today, he's the head of NASA. Mike Massimino was tops, too, but it took him four tries to get accepted. He first applied in 1989. MASSIMINO: And I was told, no. MASSIMINO: No again a second time. COLE: In 1994, he made it to the interview round. MASSIMINO: And then you go back and wait. And I was told, no. COLE: Finally, in 1996, he was accepted. He flew on two shuttle missions and helped repair the Hubble Telescope. Today, he's a professor at Columbia. This round will be Maria Bank's third attempt. BANKS: Just keep trying. Those are the words I kept hearing from all of the astronauts I talked with. COLE: But if she's accepted, what will her mission be? The shuttle program ended in 2011, and since then, NASA has been accused of lacking clear goals. But Bolden says future astronauts have a lot to look forward to. BOLDEN: They are going to be the trailblazers for our ventures to Mars. COLE: He says they'll fly new spacecraft and return to lunar orbit for the first time since 1972. BANKS: It all sounds fantastic to me. I would be happy doing just about anything. COLE: She's preparing to submit her application before the February 18 deadline. Adam Cole, NPR News. Transcript provided by NPR, Copyright NPR.